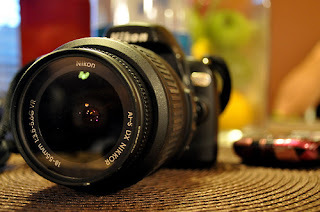 So, you’ve purchased your first DSLR camera, have you? You most likely read the manual, watched tutorials, asked your fellow photographer friends for tips. And still, you are reluctant to experiment with your new purchase. Do you find it easier to just use the Auto function? You don’t even take the camera out with you because you find it too difficult and somewhat embarrassing to fiddle around with various settings? 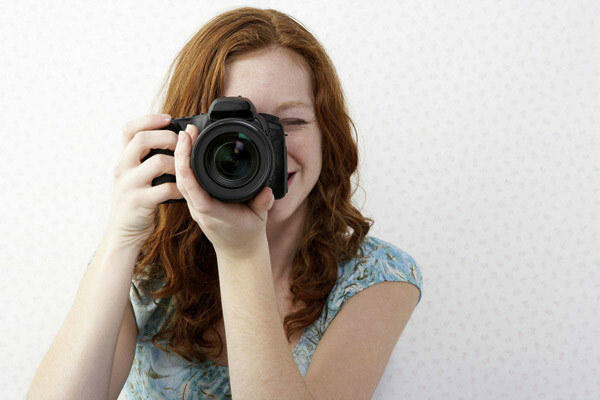 This guide on the best entry level DSLR tips for photographers just starting out. You may have been toying around with a point-and-shoot camera for a while now, and decided to move on to the next level, or it might as well be the first time you have ever came in touch with photography. Either way, once you get a good grasp of the basics concerning your new DSLR camera, all new fears will be vanquished. To start begin with DSLR camera tips, you need to know what to expect from your new camera. Point-and-shoot cameras, also known as compact cameras, are designed to make photography accessible to a larger number of people, and are built in such manner that you don’t have to worry about nothing, except choosing the object of your photography. As opposed to these compact cameras, who use autofocus, have pre set systems for exposures and a flash unit built in, DSLR cameras give you more control than you could have hoped or even wished for. Since most beginners’ DSLR are very much alike and focus around pretty much the same features, the tips in this DSLR guide for beginners can serve for you to use in order to achieve the best pictures possible. Light (difficult)- In this part you will learn about aperture, shutter speed, ISO, exposure, white balance and metering, all dealing with light. With your compact camera doing the dirty job for you, things were way easier, so transitioning from, well, pointing and shooting to carefully calculating all the factors interfering with your taking that picture already can be a bit hard, but I will break it down to you now. Looking at your camera’s body, you can see a small wheel with letters on it, displayed in a circle. So, what you need to know, is the meaning of the M, A, S and P letters, your shooting modes. Aperture Priority, A mode, is the easiest one. When the shutter is opened, light comes through an opening in the lens. The amount of light allowed to pass is completely up to you. Aperture is very important because it determines the depth of your image. For example, if you wish to photograph a close up of an animal in the wilderness, or a flower in your garden or an apple in a tree, you are to use a large aperture. This way, your subject is in sharp focus, whereas the background is blurred and fuzzy. But, if you want to capture a landscape, you need to use a smaller aperture. Why? Because in a landscape, say a downhill view, you don’t want to leave anything out. You have to ensure that everything, from objects closer to you, to the far, far background is in sharp focus. So, the larger the aperture, say f/2.8, the more light comes through and the smaller the aperture, say f/16, the less light is allowed to pass through the lens. S is all about, well, shutter. This is also a ‘semi-automatic’ mode, only this time, you control shutter speed, while the camera takes care of the rest. You need this for capturing moving subjects. And you have two options: you either aim to sharpen a fast moving subject, and so, you use a very fast shutter speed to simply freeze motion so you can capture it, or you wish to ‘slow-down’ the image and blur a moving subject, such as water running down from a waterfall by using a slower shutter speed. Okay, now that you’ve mastered focusing on either aperture or shutter speed, program mode is the last step before full manual control. Scary? Not at all. It is basically the same thing, only now you can choose from setting either one of the settings, aperture or shutter speed, while the camera automatically adjusts the exposure you need. Finally, the scariest of them all, manual mode, which is exactly what you think it is. Your camera has now stopped doing things for you and you are in full control of the settings. You now control not only the aperture and shutter speed, but also exposure determination. You are not completely helpless, as somewhere on your camera – either in the viewfinder or on the screen – there will be an exposure indicator, so that you can change aperture and shutter speed accordingly. ISO is a measure for your camera’s light sensitivity. What it basically shows you is how ‘noisy’ your photo is going to be. If you are going to shoot on a bright sunny day, use a low ISO number, such as 100 or 200. Since the sun is up, everything is already well lit, meaning the sensors don’t need to be very sensitive to light for achieving a correct exposure. By using natural light, your picture will be of the highest quality and have little noise. On the other hand, if you are shooting in low light conditions, you may want to consider using a higher ISO number,starting from 1600, as there is not much light your sensors can work with. What ISO does is multiply the amount of light available in order to give you a correctly exposed image. The downside is that the noise will be very high, hence reducing the quality of the image. Metering does exactly what it says. It calculates an average exposure using the amount of available light. Simply put, what your camera does is assess the scene, taking both light and dark areas into account and determining exposure, so that all of the tones average to 18% grey, called the ‘middle’ grey. It is what happens when you point your camera at a very bright, white scene, such as your backyard, in the sunlight, after it has snowed and the image comes out a tad darker than your eyes can see it, or when you shoot in a poorly lit room, and the resulting image comes out brighter than it actually is in real life. You can choose from average metering, meaning your camera will assess all the tones in the image, from corner to corner, coming down to the 18% grey. You can also choose centre-weighted, which means the extreme corners of the image will be ignored, or you can go for spot metering, which means the camera will use a very small area of the scene, usually placed in the middle of your viewfinder. Now, for the +/- button near the shutter-this is about exposure. This is one of the most important settings you need to understand and eventually master. +/- button helps you increase or decrease the default meter, compensating the image, or to put it this way, tricking your meter into forgetting about the 18% grey. Of course, this can be done both when you’re taking the picture or in post processing, but if your picture comes out already correctly exposed, it means you have less to worry about afterwards. 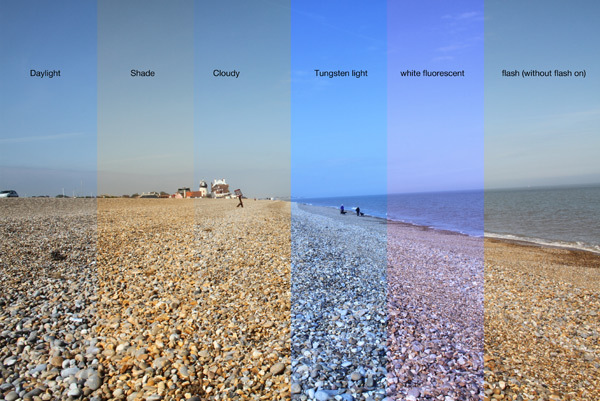 Since we’re still on the subject of light, I will now explain White Balance to you. White balance is all about tones. Sometimes your pictures have bluish tones and sometimes they are more orange than you would have thought and you don’t know why. It is because the camera works with whatever light it has access to. If it’s the moonlight, for example, the tones will be cooler, bluer. If you’re using the sunlight, of course, everything will be yellowish. flash is used for adding some warmth to an already cold, white image, as a result of the usage of the flash. Okay, now that we’ve covered what you need to know before taking a picture, we can move on to the next part, covering the rest of your camera’s features. Focusing has nothing to do with what you’ve learned so far. Naturally, some subjects of the image will be in focus, others won’t. AF-S, means autofocus-single and you can use this one when taking photos of stationary objects, such as landscapes, building, portraits of people. When you press the shutter halfway down, the focus will be acquired and locked on that exact point for as long as you hold the button down and it will only change when you release the button. If you want to take pictures of your cat, your brother on the football field or a running car, you need to use the AF-C, autofocus continuous, because this time, the focus adjusts with the moving subject, refocusing all the time until the photograph is taken. Also, focus points are easily adjustable. They allow you to have one or more focus objects in your picture. You can choose between sizes of your file, but you may want to opt for the largest possible, be it ’large’, ‘fine’, ‘super fine’. Also, you have the option of choosing whether to shoot in .raw or .jpeg file types. The latter is recommended as the quality of the picture will not be diminished and it will be easier to edit it afterwards as opposed to a more compressed .jpeg file. Post processing aside .jpeg files are more suitable for beginners because they allow you to learn the basics of the camera before stepping up to the complicate process of handling and editing .raw files. It is widely known how an editing software, such as Adobe Photoshop, can manipulate and change pictures to the point where they look nothing like the original. But the primary point of photography, as a whole, is photography itself. It is the art of capturing a moment, a movement, with extreme delicacy and and naturalness. You took a photo of a woman sitting in a comfy chair next to the fireplace during night time, with the fire being the only source of light. Problem: Her face is too dark and orange, the colors are way to warm and it looks unnatural. Fix: adjust the brightness, increase the exposure and also, lower the saturation until it looks natural enough. Fix: lower the brightness, lower the exposure, increase the saturation, play with the color curves ( RGB-red, green, blue) until it looks colorful enough. These is just a guideline; the results you can achieve from editing are miraculous. This post was a brief overview of the setting most people find difficult to master at first. Once you learn the basics, your pictures will no longer be a shaky snapshot, or a blurry image of your cousin blowing out his birthday candles and it won’t be soon before long that your camera will hold no more secrets and you will be on your way to taking the best photographs in your life.